How about a little hometown fun outside of fiber and knitting? Here, the city of Carlsbad hosts a series of summer concerts called Jazz in the Park for nine weeks each summer. It's basically a picnic in the park where you can bring your friends, kids and food. It's really fun. 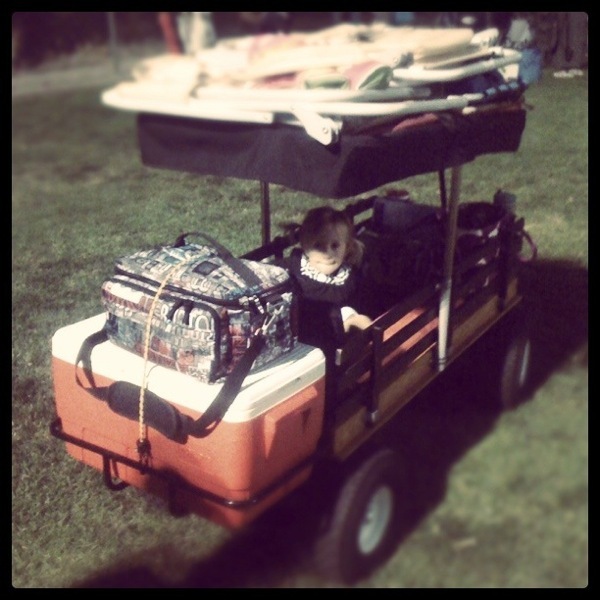 Our friends have an awesome wagon rig where their kids can chill and our chairs our stashed. I love Jazz in the Park! Missoni for Target is coming!